Nowadays, not many bands stay together twenty-four years. Those that do, must be doing something right. That’s certainly the case with avant rock band Ulan Bator. They’re avant rock survivors, who have continually reinvented themselves over the last three decades. This has ensured that Ulan Bator’s music has remained relevant. Ulan Bator’s music has often been described as ambitious and groundbreaking. That could well describe Ulan Bator’s forthcoming new album Stereolith, which will be released by Bureau B on 24th February 2017. It marks a welcome return of avant rock pioneers Ulan Bator. Their story began in Paris, France in 1993. That was where guitarist, keyboardist and vocalist Amaury Cambuzat and bassist Olivier Manchion formed Ulan Bator. Little did they realise that this was the start of a twenty-four year musical adventure for Ulan Bator. The adventure began when Ulan Bator were looking for somewhere to rehearse. They heard of an unused chalk mine on the outskirts of Paris. Most bands wouldn’t have considered rehearsing in a chalk mine. However, it was quickly becoming apparent that Ulan Bator were no ordinary band. Not only were Ulan Bator happy to rehearse in the chalk mine, but eventually, began to transform it into their own bespoke recording studio. This took time, but paid off. Ulan Bator had their very own recording studio, where they would record their first three albums. By the time Ulan Bator came to record their debut album, two had become three. Drummer Franck Lantignac had joined Ulan Bator and became the third permanent member of the band. Franck Lantignac joined just in time to play on Ulan Bator’s eponymous debut album. It was released on Disques du Soleil in March 1995, and was well received by critics. Before long, Ulan Bator returned to the studio. Later in 1995, Ulan Bator returned with their much anticipated sophomore album 2. It was released to critical acclaim at home and abroad. Critics in France were won over by 2. So too were critics in other parts of Europe and as far afield as America. Ulan Bator were being hailed as rising stars of French music. Over the next two years, Ulan Bator’s star was in the ascendancy. So in July 1997, Ulan Bator headed into the studio and recorded their third album Végétale. Once the album was mixed in October 1997, Végétale was released in late 1997. Unlike Ulan Bator’s two previous albums, Végétale was sung entirely in French. This went down well with critics. Végétale was released to widespread critical acclaim. Critics spoke as one, calling Végétale Ulan Bator’s finest hour. However, one publication was particularly impressed by Végétale. This was the leading French music magazine Inrockuptibles. They were quickly becoming one of Ulan Bator’s biggest fans. As 1997 drew to a close, Ulan Bator were able to look back with satisfaction on what had been the most important year of their career. Not only had Ulan Bator released Végétale, they had played a series of memorable sold out concerts with Faust. For the members of Ulan Bator, this was a dream come true. Just like Neu! and Can, Faust were one of the Krautrock groups that influenced Ulan Bator musically. Getting the opportunity to play alongside them, was a dream come true for Ulan Bator. This proved to be the start of long running friendship between Ulan Bator and Faust. Amaury Cambuzat would collaborate with Faust on their 2009 album C’est Compliqué. A lot would happen before that collaboration took place. After the success of Végétale, Ulan Bator released the D-Construction EP in 1999. It found some of the leading lights of the electronic music scene remixing some of Ulan Bator’s music. This included Carl Stone, Erik M, Otomo Yoshihide and Scanner. The D-Construction EP introduced Ulan Bator’s music to a new audience. This was perfect timing, as Ulan Bator were about to release their fourth album in 2000. This was Ego Echo, which was produced by Michael Gira, whose previous credits included Swans and Angels Off Lights. It was the first Ulan Bator album not to be recorded in France. Instead, the band decided to move to Italy to record Ego Echo. Since then, Ulan Bator have based themselves in Italy. Ego Echo proved to be the start of a new chapter for Ego Echo. With the new album complete, Michael Gira’s Young God Records released Ego Echo in America. Just like their previous albums, Ego Echo won the approval of critics. Ulan Bator’s determination to reinvent their music ensured that their music continued to be relevant. Their music also continued to find a wider audience. That was no surprise. Ulan Bator were constantly touring, and introducing their music to a much wider audience. The constant touring was taking its toll on one member of Ulan Bator. Olivier Manchion decided to leave Ulan Bator. It had been one tour too many for Ulan Bator’s bassist. This didn’t spell the end of Ulan Bator though. Instead, Amaury Cambuzat continued to front Ulan Bator. Two years later, in 2002, Ulan Bator now reduced to a duo of Olivier Manchion and Matteo Dainese returned with Ok: Ko. Despite the change in Ulan Bator’s lineup, Ok: Ko won over the critics. It was a new chapter in the band’s career. Again, Ulan Bator continuing their mission to constantly reinvent their music. The result was another ambitious album from avant rock survivors Ulan Bator. They returned on 2003 with another new album Nouvel Air. It had been mixed by former Cocteau Twin Robin Guthrie. The music on Nouvel Air managed to be both complex and accessible as Ulan Bator added a myriad of new instruments. This included a violin, slide guitar and saxophone. The result was a very different album, but one that proved popular among critics and music fans. Two year later, and Ulan Bator returned with a new album Rodeo Massacre in 2005. It showcased what Ulan Bator described as a much more “direct” sound. This caught the attention of critics and music fans. Especially after two of the videos received heavy airplay on European MTV. Ulan Bator’s music continued to reach a new and wider audience. Despite this, Ulan Bator didn’t release a new album until 2010. Three years later, and Ulan Bator released a compilation of music by the original lineup of the group. Ulaan Baatar featured music that Ulan Bator released between 1993 and 1998. This kept Ulan Bator’s fan-base happy until they returned with a new album. However, that wouldn’t be until 2010. Meanwhile, change was afoot within the world of Ulan Bator. Founder member Amaury Cambuzat was preparing to launch his own record label, Acid Cobra Records. When it was launched in 2009, one of the first releases was a new Ulan Bator EP, Soleils which showcased the latest new lineup of Ulan Bator. Its lineup would continue to change over the next few years. For Ulan Bator’s seventh album Tohu-Bohu, the group were reduced to quartet. Amaury Cambuzat was joined by three of the musicians who had played on the Soleils EP. 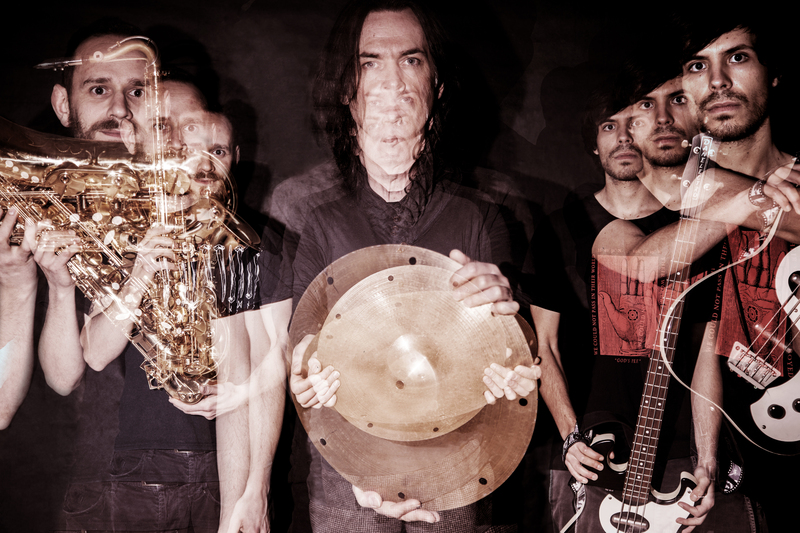 This included former Dilatazione drummer Alessio Gioffredi, who had been collaborating with Ulan Bator for some time. Tohu-Bohu was Alessio Gioffredi’s first album as a full-time member of the band. Joining him in Ulan Bator’s rhythm section was bassist Stéphane Pigneul, who had been a member of Object and Heligoland. The final piece in the musical jigsaw was guitarist and organist James Johnston, who previously, had been a member of Gallon Drunk, Lydia Lunch and Bad Seeds. Ulan Bator’s latest lineup made their much-anticipated debut on Tohu-Bohu. After a five year absence, Ulan Bator returned with Tohu-Bohu in October 2010. Before the albums was released, Ulan Baton headed out on tour. They wanted to reconnect with their fans, having not released an album since 2005. Tohu-Bohu has been described by Ulan Bator: “as the perfect link between Serge Gainsbourg and contemporary avant-rock.” This added to the sense of anticipation, as the release of loomed large. When Tohu-Bohu was released on Amaury Cambuzat’s Acid Cobra Records, it was to critical acclaim. Critics hailed Ulan Bator’s genre-melting album Ulan Bator as one of their finest albums. It found Ulan Bator fusing of avant rock with elements of alt-rock with Krautrock, noise and post rock. It proved a popular fusion among critics and record buyers. Ulan Bator were back, and it seemed back to stay. In late 2012, there was another change in Ulan Bator’s lineup. This time, Amaury Cambuzat was joined by drummer Nathalie Forget and bassist Diego Vinciarelli. The new lineup soon embarked upon a tour and then began work on a new album, En France/En Transe. Three years after the release of Tohu-Bohu, the new lineup of Ulan Bator returned with En France/En Trance. It was another genre-melting album that found favour with critics and music fans. Ulan Bator were still one step ahead of the competition, as they celebrated their twentieth anniversary. Another three years passed before Ulan Bator released what was their eleventh album, Abracadabra in 2016. By then, Ulan Bator’s lineup had continued to evolve. Amaury Cambuzat was joined by James Johnstone, Giordano Ceccotti and Raffaella Matrisciano. Despite the lineup continuing to evolve, the music on Abracadabra ambitious and continued to push musical boundaries. That had been the case since Ulan Bator first stepped into a recording studio. This continued when work began on Ulan Bator’s third album. By then, the lineup had changed again. Ulan Bator was now a trio featuring Amaury Cambuzat, Mario Di Battista and Sergio Pomante. They were about to begin work on what was become Ulan Bator’s twelfth album Stereolith. It had been written by Amaury Cambuzat whilst Ulan Bator toured their previous album Abracadabra. He also recorded drum, bass and guitar parts for Stereolith in hotel rooms, before and after shows. After the tour was over, the latest lineup of Ulan Bator entered the studio in March 2016. This would be Ulan Bator’s home from home for the next seven months. Amaury Cambuzat took charge of production, played guitars, keyboards, synths and added vocals. Drummer Mario Di Battista also added tenor and electric saxophones. He was joined in the rhythm section by bassist Sergio Pomante. By October 2010, Stereolith was completed. All that remained was for Sergio Pomante to master the album. Four months later, and Stereolith will be released by Ulan Bator on the Hamburg based Bureau B label. This is a much anticipated release, and marks the welcome return of veteran French avant rockers, Ulan Bator. On Fire opens Stereolith and straight away, Ulan Bator make an impression. Banks of dark charring keyboards and a buzzing bass synth are to the fore in this multi-layered arrangement. They provide the backdrop for Amaury Cambuzat’s whispery, dramatic vocal. Soon, bells ring as drums pound and add to the dramatic backdrop, as the arrangement slowly unfolds. It dissipates and rebuilds, with a myriad of electronics joining with a shimmering guitar and sound effects. Later, the genre-melting arrangement is stripped bare, and all that remains is an accompanied vocal. This proves effective and adds to the drama what’s a captivating track, where avant-rock is fused with elements of the Berlin School, experimental music and post rock. The drama continues on Stereolith, which showcases a moody, cinematic sound. It’s as if Ulan Bator have been asked to provide the soundtrack to a sci-fi film. Thunderous drums provide an ominous beat, while bursts of searing, scorching and chiming guitars join with washes of synths. Meanwhile, Amaury Cambuzat’s vocal adds to the drama and cinematic sound. Behind him, a funky, chiming guitar provides a contrast to the dark, ominous widescreen arrangement. Later, bursts of free jazz saxophone are drizzled above this dramatic, thought-provoking cinematic soundscape. Straight away, Amaury Cambuzat’s love of Krautrock shines through on Blue Girl. It sounds as if it’s been inspired by Faust as gongs ring out. They’re joined by dark industrials sounds, a myriad of beeps and squeaks and a dark, broody piano. Meanwhile, Amaury’s vocal is like a stream of consciousness, that seems to have been inspired by Can’s Damo Suzuki. By then, Ulan Bator have locked into a tight groove. Midway through the track its all change, and it’s as if the sun has come out. A vampish piano riff joins shimmering post rock guitars and synths that synths that sound as if they belong on a classic Popol Vuh album. It’s a potent and heady brew where Ulan Bator seamlessly combine avant-rock with Krautrock, the Berlin School and post rock. An urgent buzzing bass synth joins with chiming, shimmering guitars on Ego Trip. They’re joined by maury Cambuza’s who switches between French and English during this heartfelt confessional. He remembers the words that hurt so much: “she said you’re not a star.” Meanwhile, the arrangement is changing. This begins when a piano plays. Soon, a synth taps out a code before a drums and bursts of distant harmonies are joined by bass, guitar and a variety of electronics. Later, a harpsichord is added to mix and this proves a masterstroke as the track heads into anthem territory. NeuNeu is akin to a paean to Krautrock. Especially, early Kraftwerk and Neu! Pounding drums combine with banks of synths. Meanwhile, Amaury’s distant vocal is laden in effects. Playing a starring role are the Michael Rother inspired guitars. They sit left and right of the mix, as it’s powered urgently along. Later, a braying free jazz saxophone is added, and they plays its part in this genre-melting jam. It’s a a five minute fusion of Krautrock, avant-garde, psychedelia and free jazz that’s one of the highlights of Stereolith. An dusty Hammond organ plays as No Book begins to unfold. Soon, drums are played slowly and ominously, while a piano adds a contrast. Meanwhile, Amaury adds a ruminative, hurt filled vocal. Still, washes of swirling Hammond organ combine with drums that crack and the crystalline sound of the piano. Contrasts abound in this dramatic and poignant multilayered song. In the distance a guitar plays while a cymbal shimmers on Icarus. This adds to what’s another atmospheric sounding song. Soon, searing guitars cut through the arrangement and march at the beat of the drums. Amaury adds a whispered vocal that sits amidst the layers of drums, shimmering guitars and washes of synths. Already avant-rock is combining with post rock. Later, there’s even a hint of alt-rock as the guitars threaten to cut loose. They’re briefly joined by a rumbling bass before all that remains is the guitars. Then all too soon the track is over, and all that remains is the memory of one Ulan Bator’s most atmospheric tracks. A lone piano plays as Lost unfolds. It’s soon apparent that this is a very different song from the other on Stereolith. Soon, the piano is joined by wistful strings. When they briefly drop out, Amaury’s vocal enter and he sings: “it’s good to be loved.” Meanwhille the arrangement gradually takes shape. The strings return and accompany him. They rise and fall and accompanying Amaury’s rueful vocal. He remembers: “it’s good to be loved,” on what’s a quite beautiful song that shows another side to Ulan Bator. Closing Stereolith is Dust where Ulan Bator ring the changes again. Churning, grinding, buzzing, beeping, squeaking synths are part of what’s akin to a musical merry-go-round. They provide the backdrop to slow, deliberate Amaury’s vocal. It’s enveloped by the rest of the arrangement.Later, it explodes into life and darkness and light rub shoulders with one another. Searing, scorching guitars join with the rhythm section and vocal. It seems that Ulan Bator are determined to close the album on a memorable high. This they certainly do. Twenty-four years after Ulan Bator were formed in Paris, France in 1993, the band is still going strong. Ulan Bator have survived countless changes in lineup and are just about to release their twelfth album Stereolith on Bureau B on 24th February 2017. It’s one of the finest albums that Ulan Bator have released in recent years. Ulan Bator are still lead by Amaury Cambuzat. He’s wrote, produced and played many of the instruments on Stereolith. He’s joined by two talented musicians who augment Amaury Cambuzat on Stereolith. 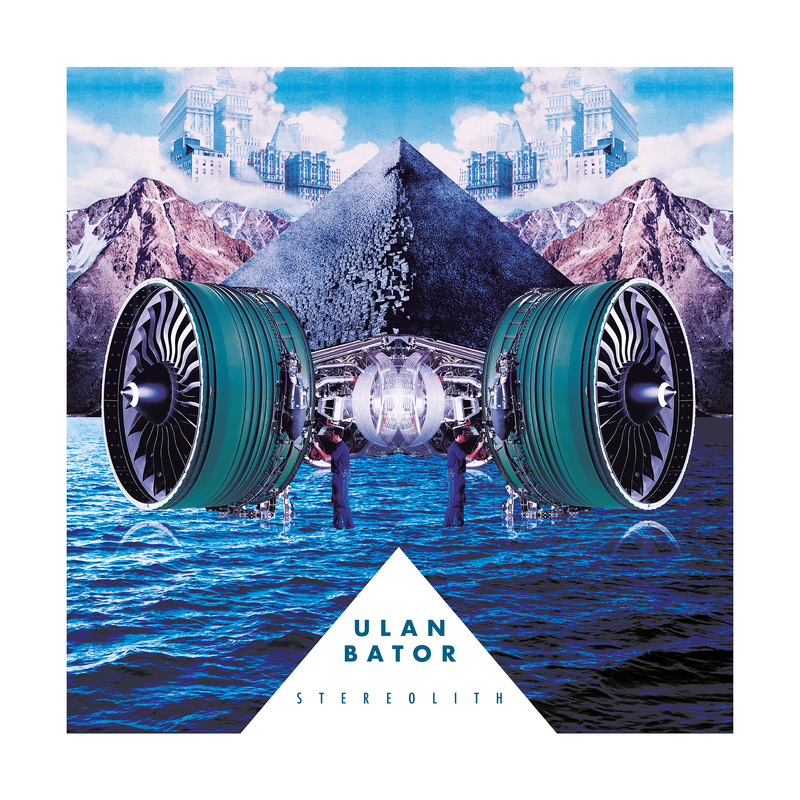 The result is another album of ambitious, inventive and genre-melting music from Ulan Bator. Just like on previous albums, Ulan Bator continue to pioneer their unique brand of experimental rock and roll. It’s a fusion of avant-rock, Krautrock, post rock and psychedelia. To this, Ulan Bator draw inspiration from avant-garde, the Berlin School, electronica, experimental and industrial music. There’s even brief excursions into alt-rock, balladry and free jazz on Stereolith, which has been inspired by a variety of artists. This includes Kroutrock pioneers Can, Faust, Harmonia, Neu!, Krautrock and Popol Vuh. Often, the guitars on Stereolith seem to have been influenced by Michael Rother of Kraftwerk Neu! and Harmonia. Similarly, sometimes, Amaury Cambuzat’s songwriting and singing style seems to have been influenced by former Can lead vocalist Damo Suzuki. All these influences, are combined with Ulan Bator’s twenty-four years of experience to create music that’s variously cinematic, broody, dark, hopeful, hypnotic and mesmeric . Other times, there music is dramatic, joyous, lysergic and poignant, Always, though, the music on Stereolith is atmospheric. That is the case throughout Stereolith. It finds the veteran musical shape shifters Ulan Bator seamlessly switching between genres as they continue to captivate and create music that’s way ahead of the curve. Sometimes, Ulan Baton improvise and throw a series of curveballs. They take the listener on the equivalent of a magical mystery tour. It’s a case of expect the unexpected from Ulan Bator on Stereolith which is without doubt, one the best albums of their career. It finds Ulan Bator continuing to reinvent their music to ensure that it remains relevant. Music chameleons Ulan Bator succeed in doing so, on their much anticipated twelfth album, Stereolith. ← BOB STANLEY AND PETE WIGGS PRESENT ENGLISH WEATHER.